Chapter 13 bankruptcy allows individuals to formulate and put into action a “payment plan” of sorts with their creditors. When setting up this plan the individual’s income and other factors are taken into consideration. This arrangement is meant to allow the person or persons filing bankruptcy to make their monthly payments as manageable as possible while still making it possible to pay debts back in the person’s lifetime. This type of bankruptcy is the fact that it allows the individual to keep his or her assets. This includes property, homes, and other valuables that may otherwise be forfeited in a chapter 7 bankruptcy. 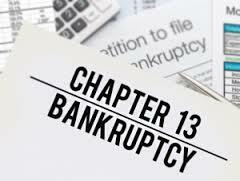 Some people after hearing that it can be possible to keep your assets will automatically think that chapter 13 is for them but, before you start the process of filing, you will want to consult with a bankruptcy attorney or a financial advisor to find out if this is the best option for you. Avoiding bankruptcy if at all possible is the best option, since it will result in a hit to your credit score for many years. A bankruptcy attorney will be able to meet with you, assess your current debts and finances, and determine what your best plan of action will be. If it is determined that you are a viable candidate, then you will want to carefully follow the right series of steps so that you can increase your chances of being successful. After all, not everybody who files for bankruptcy is approved; there are many considerations that must be factored in when the decision is made. When you meet with your attorney he or she will walk you through the process. You will want to make sure that you are comfortable with your attorney because this can be a long process and you should feel like they have your best interest in sight and that they take the time to explain the processes you are about to take. Your attorney will request that you bring all of your financial information with you to your first meeting. He or she will need to see where you currently stand with your finances and be sure that you are open an honest with them regarding all of your financials. They can only represent you properly if they have all of the information. What will I need to file bankruptcy? Overall, filing for chapter 13 bankruptcy may seem like a daunting task, but it does not have to be. With the help of an attorney, you can be on the path to a better financial future and a second chance in no time. For more information on Chapter 13, stop into the office in Blue Springs, use our web submission form, or give us a call at (816) 533-4331.